Juha Laaksonen has completed new map. This time he made a huge skycraper. It has several well designed areas ( like on the picture ) and if all sectors would have been made with same care it could have managed to get in Hotmaps. 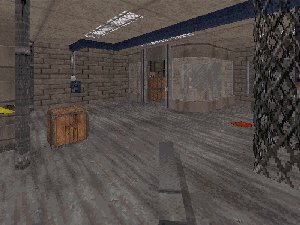 Anyway it is quite good map but falls in bugs like too big doors or too big hallways.